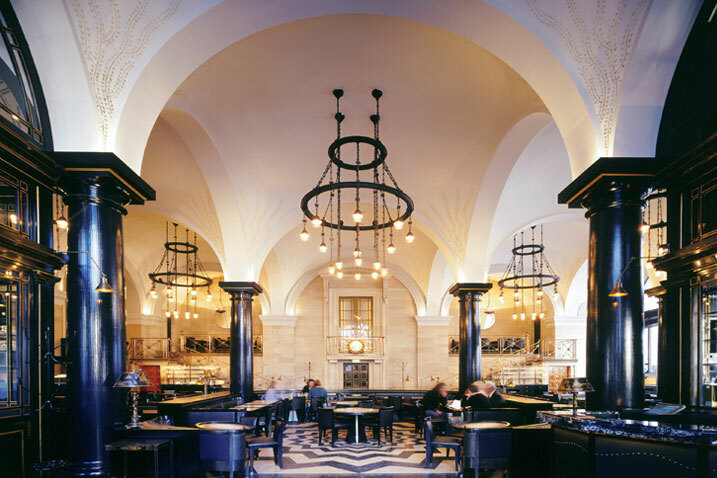 It was a special and unexpected treat to visit The Wolseley on my last day in London. 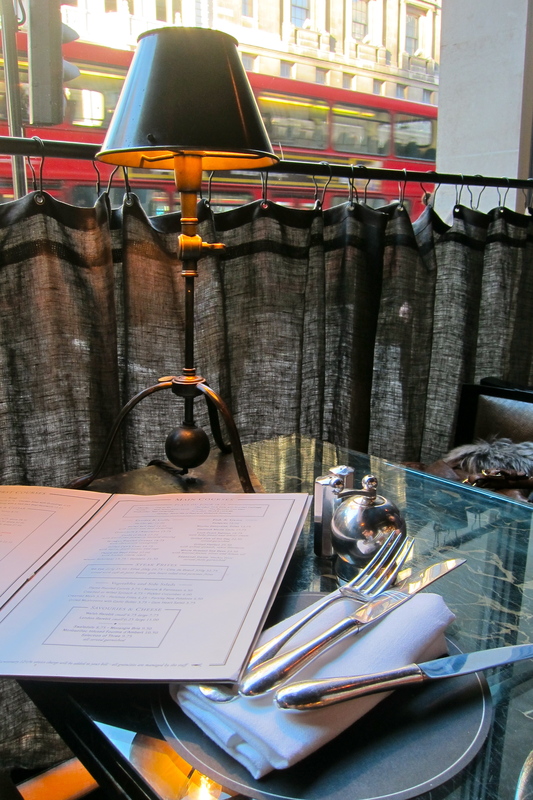 The original plan was to meet at Richoux at Piccadilly – and thank the food gods that we didn’t! I have only just this moment realised (while researching Richoux and writing this paragraph) that this restaurant is HORRIBLE. It’s a chain of restaurants and I have visited the one in St. John’s Wood – and swore never again. As I exited the Green Park tube station, I called DC to see where I should be heading (despite having lived in London for 3 years, I still have an abysmal sense of direction!) He suggested going to The Wolseley instead, and that it would only be a 30 minute wait for a table! I have tried to book this restaurant (unsuccessfully) for my past two trips, and here we were with an opportunity to finally go and eat the famous breakfast at The Wolseley! It was already 1.30pm … but there’s never really a bad time to eat breakfast, is there? The interior of the restaurant is cavernous, and simply exquisite. The site was originally commissioned by Wolseley Motors Limited as a showroom, and then Barclays Bank acquired the building when Wolseley Motors went bankrupt. It was finally taken over by Chris Corbin and Jeremy King, two of London’s most successful restauranteurs, and transformed into a restaurant in 2003. After a short wait at the bar with a very nice Bloody Mary, we were sat at one of the tables in the bar area, where you are not charged the requisite ₤2 ‘cover charge’ as you are in the main dining room. The idea of a restaurant cover charge sounds a bit preposterous to me, but we are in London after all, and sometimes these things happen. 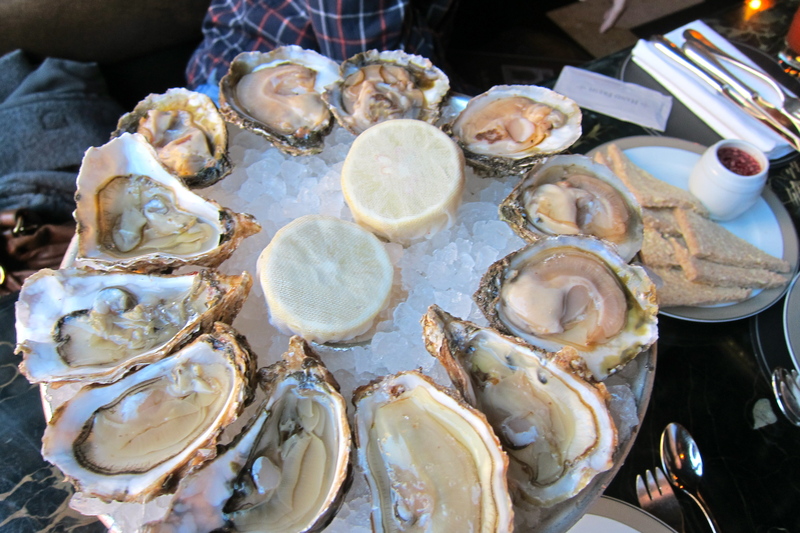 The oysters were served with un-toasted, crustless and buttered brown bread – how very English! The red vinegar and shallot sauce was nice, but served in an inappropriately narrow vessel which had to be tipped to acquire a suitable amount of vinegar. Interesting fact #1: ‘Fines de Claire’ doesn’t actually refer to an area of production, but rather, a method. The ‘claire’ refers to a salt marsh pond, where the oysters are kept over one or two months, with a maximum number of oysters per square meter, before being sold. 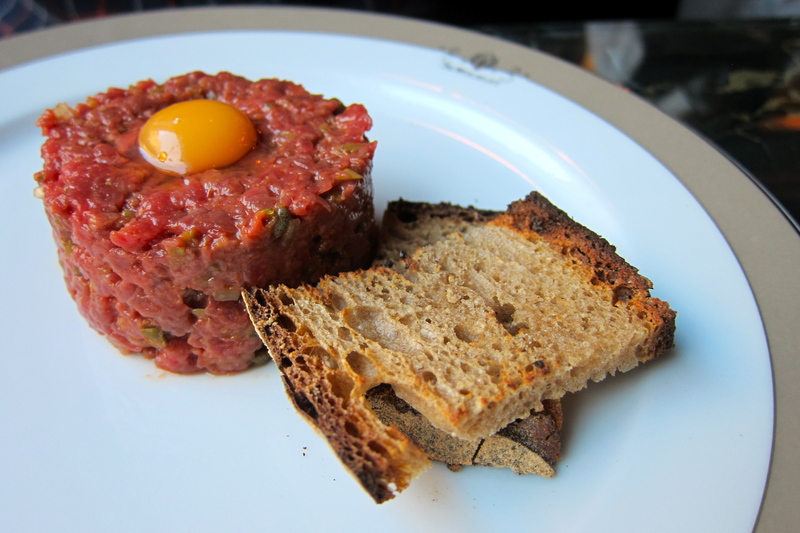 Interesting fact #2: The name is derived from “steak à la tartare”, a dsh popular in 19th and early 20th centuries. 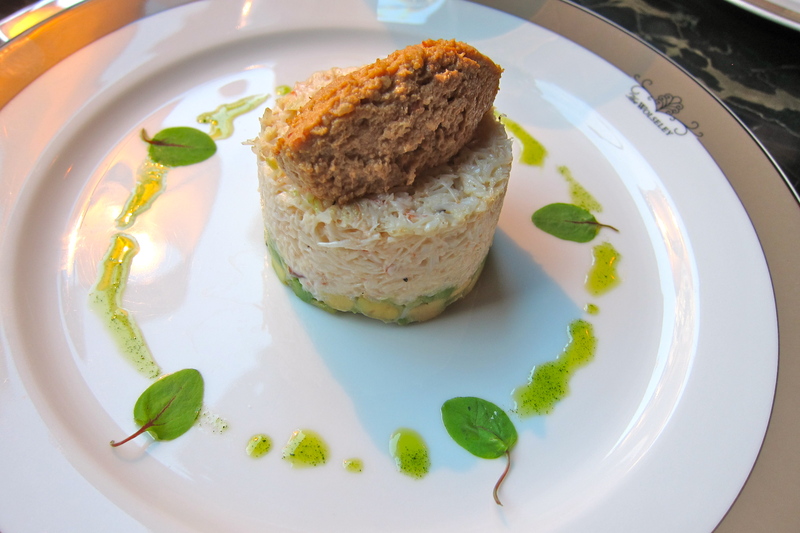 It refers to the original practice of serving it with tartare sauce. (Not so) Interesting fact #3: Dressing refers to the preparation, cooking and serving of a crab. Why it is dressed rather than something else, I don’t know – I guess it’s rather like dressing a salad. Some prefer just the white meat (jumbo lump) whilst others (like myself) prefer the dark meat as it’s more flavorful. At The Wolseley, they serve both white and dark meat on a base of creamy avocado – unfussy, fresh and tasty. 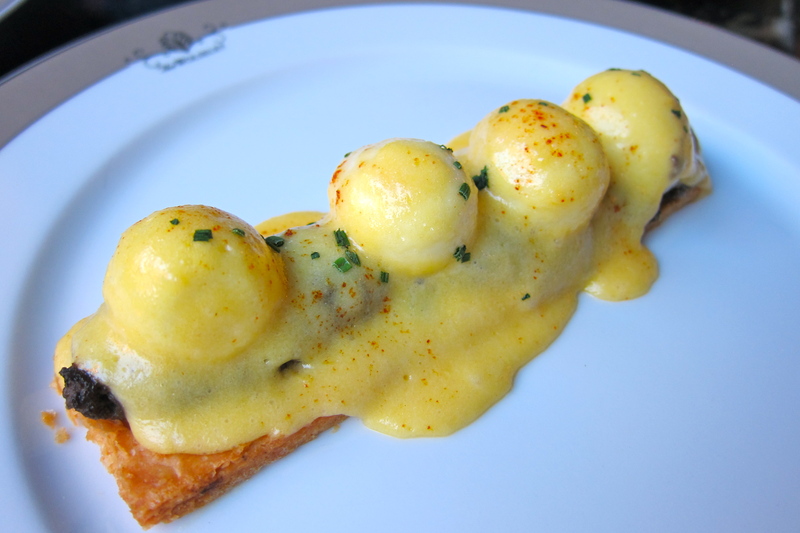 This was a mightily different and refreshing way of eating eggs with Hollandaise Sauce, and I loved it. The mushroom puree really complimented the dish so well – and it was great for sharing! Interesting fact #4: There are 67 calories and 7.12 grams of fat in one tablespoon of Hollandaise Sauce!! I bet you’ll think about that before you order it next time! This is one of The Wolseley’s specialties, and the menu gave no indication of what was in it – like we were just meant to know. I’ve never thought to eat any fish other than smoked salmon in an omelette, but the smoked haddock was incredible, and it was also cooked perfectly. I shall venture to say that it’s one of the best omelettes I’ve had – the copious amounts of butter, cheese and cream have something to do with that, I’m sure. 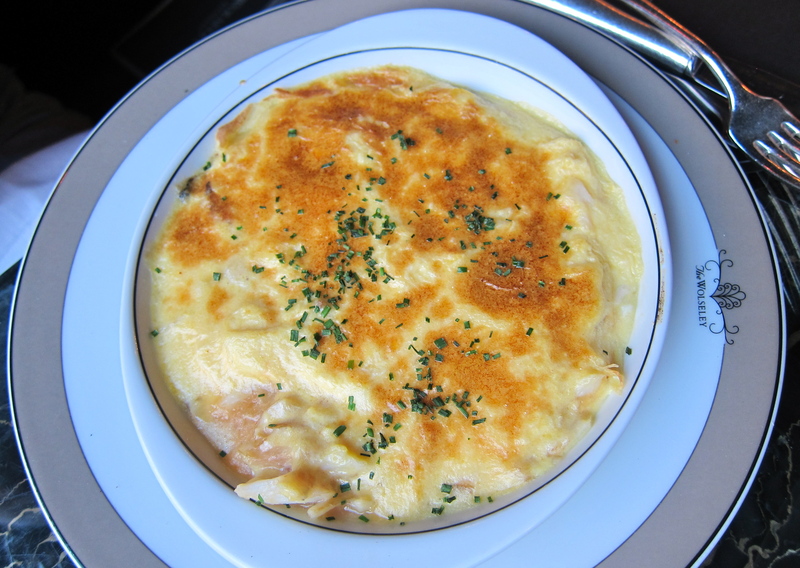 Interesting Fact #5: Arnold Bennett was an English writer, who during a stay at The Savoy, apparently was served an omelette made of smoked haddock, parmesan cheese and cream. He loved it so much that he ordered it every time, and is thus named after him. 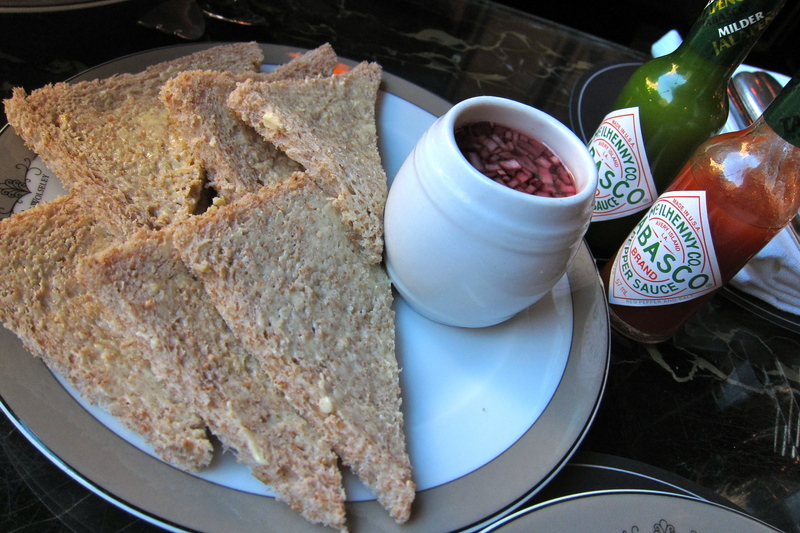 It remains a standard dish at The Savoy to this day. To me, nothing says breakfast better than Eggs Benedict. It’s what I cook on most weekends when I have time to make breakfast. I love staring at the pan of simmering water, tenderly coaxing the poached egg into a pretty white ball. I love the way the yolk explodes and cascades over the plate, slowly. And I love Hollandaise sauce. Have it with bacon (Eggs Blackstone), spinach (Florentine), smoked salmon (Atlantic), or chorizo (Huevos Benedict) – anyway you eat it, it’s damn good. The Wolseley do them well, with thick, smoked ham, and those perfectly spherical eggs. 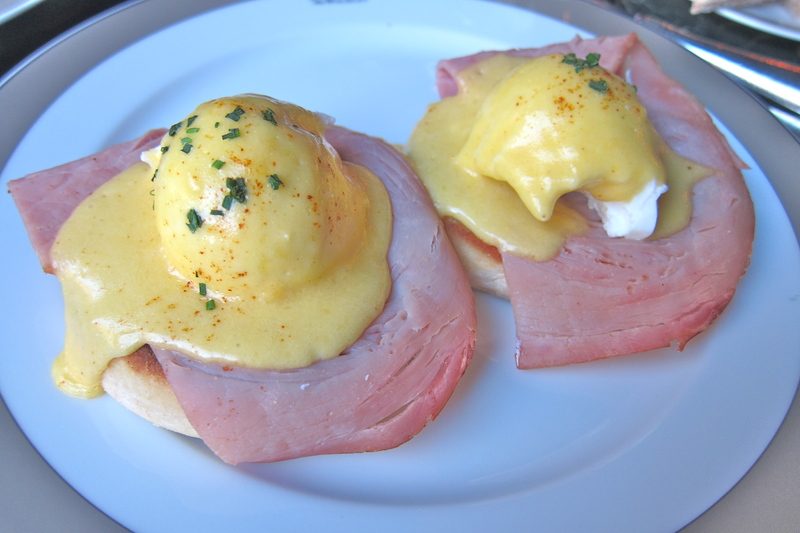 Interesting fact #6: In the USA, April 16th is National Eggs Benedict Day …! Go figure. As I was ordering my Bloody Mary, I spied with my little eye something beginning in Hot and ending in Chocolate. We just had to have it, but by this point I had to leave to run for the airport. It was a tricky and time sensitive situation. 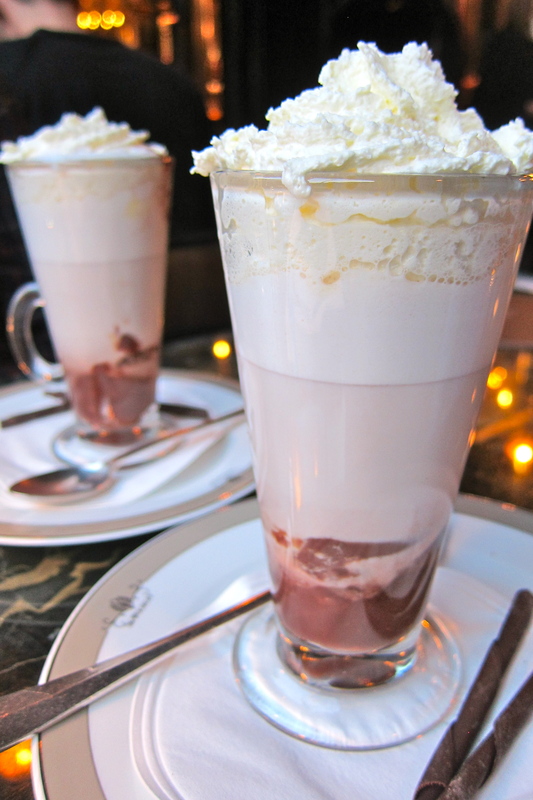 I said to the waiter, “We’ll have hot chocolate, but only if we can have them in 2 minutes!” He pauses then says, “You’ll be surprised what I can do in 2 minutes.” Hmmm – ooookaaaaaay, we’ll have two! Unfortunately, they were wasted calories to me, with no definitive chocolate flavour – go try the one at Cecconi’s instead! Even though the service was impeccable, it was rather slow. Expect to wait a little for your breakfast, but it will be worth it. I have read less than happy things written about the dinner there, but what I’m more interested in is Afternoon Tea! Check out their website, where all of their menus are very conveniently downloadable.